What does “Local” mean to you? Results were varied, to say the least. Although people overwhelmingly believed that local should mean grown in their community – the definition of community could mean their hometown; a certain mile radius; a portion of the country; or simply grown in the USA. As I’ve mentioned before, living in downtown Minneapolis put me within walking distance of a handful of farmers’ markets. These markets are as much of a social gathering as they are a means to stock up on items for the week ahead. I find myself getting to know the handful of vendors that are so passionate about what they grow and raise; and in turn they get me to try new foods (pea shoots, kohlrabi… to name a few). 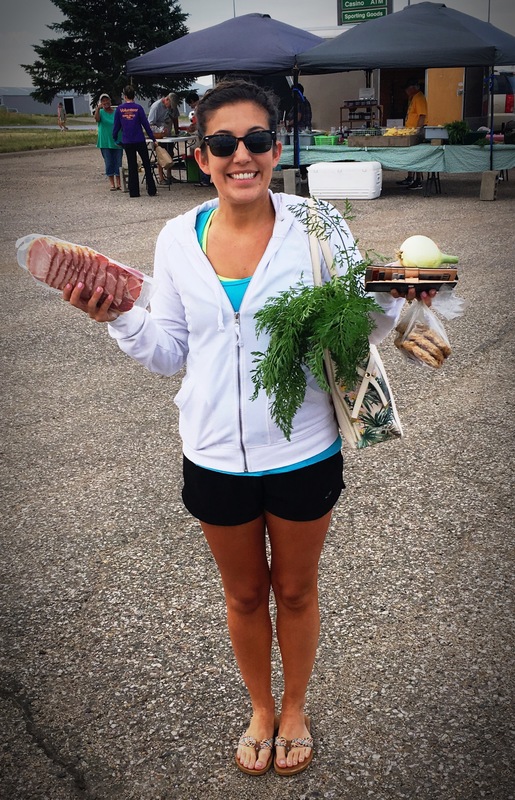 Now, is farmers’ market food more expensive? Maybe. Depends if you’re talking about the actual money you dish out or the expense on our environment to get much of the produce you see in the supermarkets. See what I did there? Yes, an onion for $2 seems steep, but how often do you buy a bag of onions where half of them go bad before you get to them? Or, when was the last time you’ve actually TASTED a carrot. Not just a crisp, orange log that vaguely tastes like nutritious soil [clearly I’m not a big fan of the carrots I grew up with…] but a REAL carrot. Take it from me, more times than not if you try a farmers’ market variety you’ll discover that you may actually LIKE a vegetable you’ve previously written off. I find myself being more resourceful when not confronted with 10+ aisles of food and freezer-ready meals. I find that I spend less time and money at the grocery store. + Veggies. Onions, Green Beans, Pea Shoots, Carrots & Scallions. 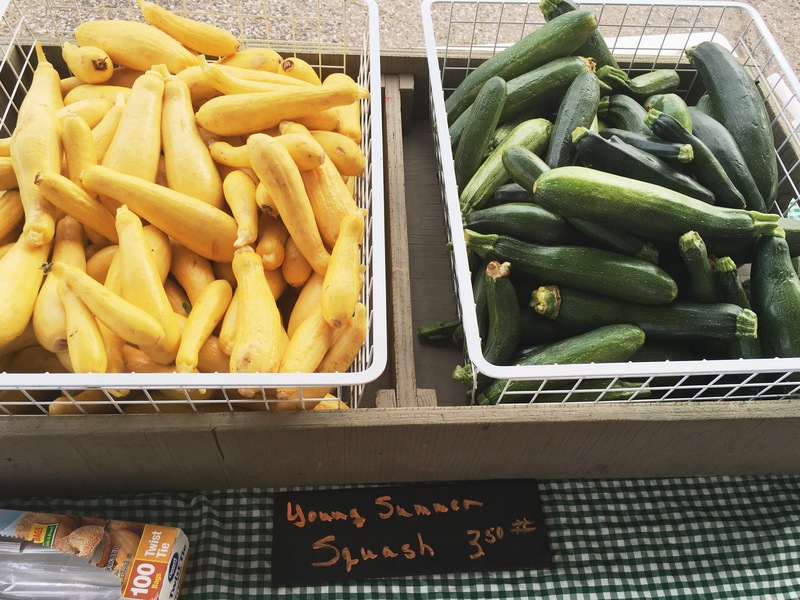 The farmers’ market trips are a start, and I’m proud of the movement in Pierre to get more local foods in peoples’ homes, grocers and restaurants. One small step, right? I dig it. ** Check out the results of our foods study here! *** Follow our Dakota Rural Action chapter “Greater Oahe Action League” on Facebook! A lunchtime collection from my backyard garden! Click below to follow this blog and receive notifications of new posts straight to your inbox.